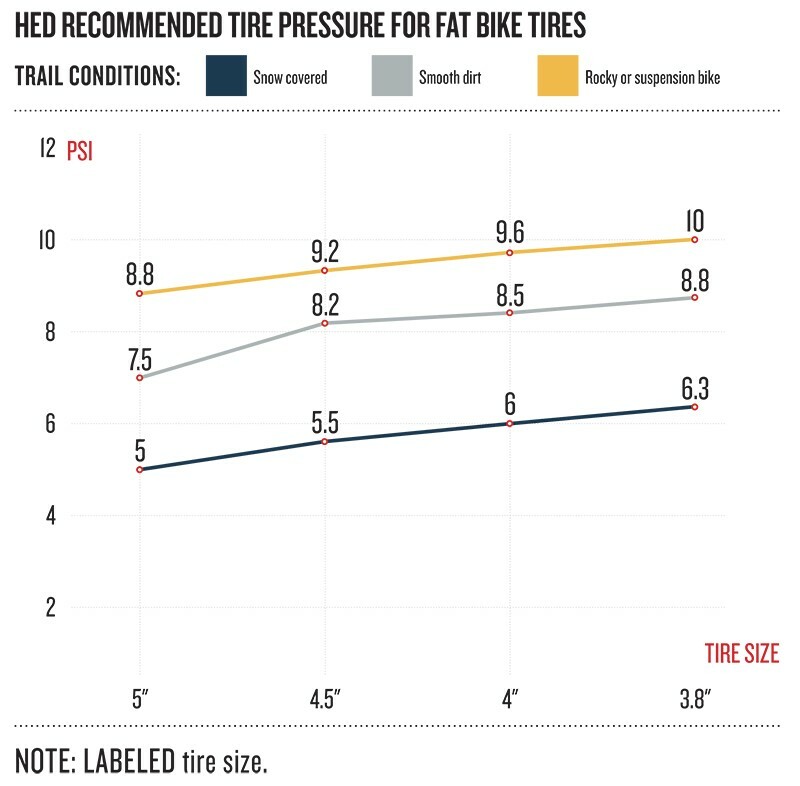 Nothing sets you and your HED wheels up for success like using the optimum tire size and pressure – regardless of whether you’re riding on a road, trail, or snow-covered field. 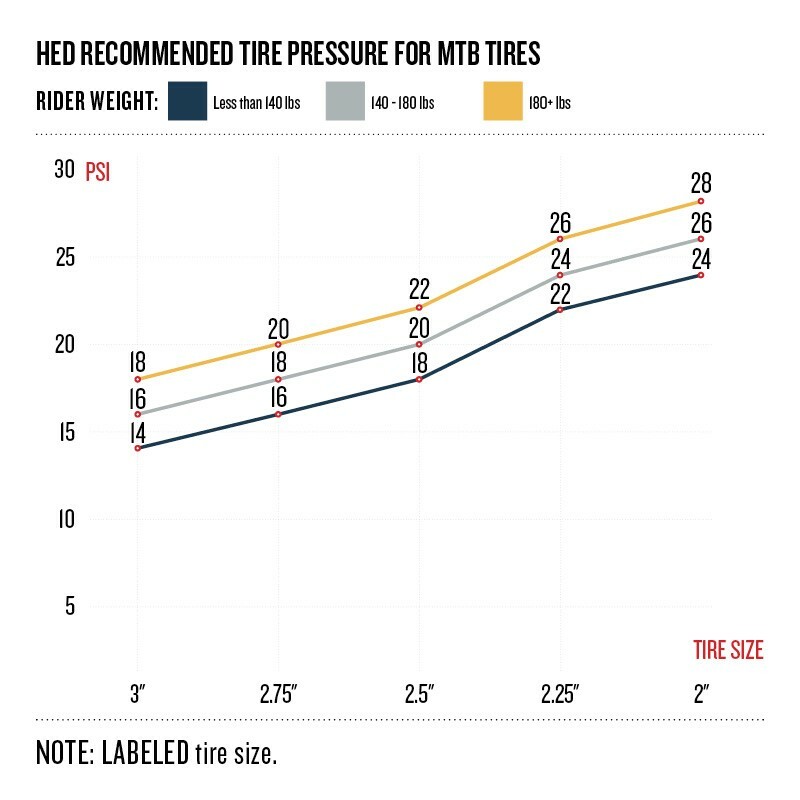 This page will help to guide you to the proper pressure for your bike based on the tire size, type of terrain, and your body weight. Please note that this only serves as a guideline, and your individual terrain, riding style, body weight, weather, and preferences will ultimately dictate the best pressure. 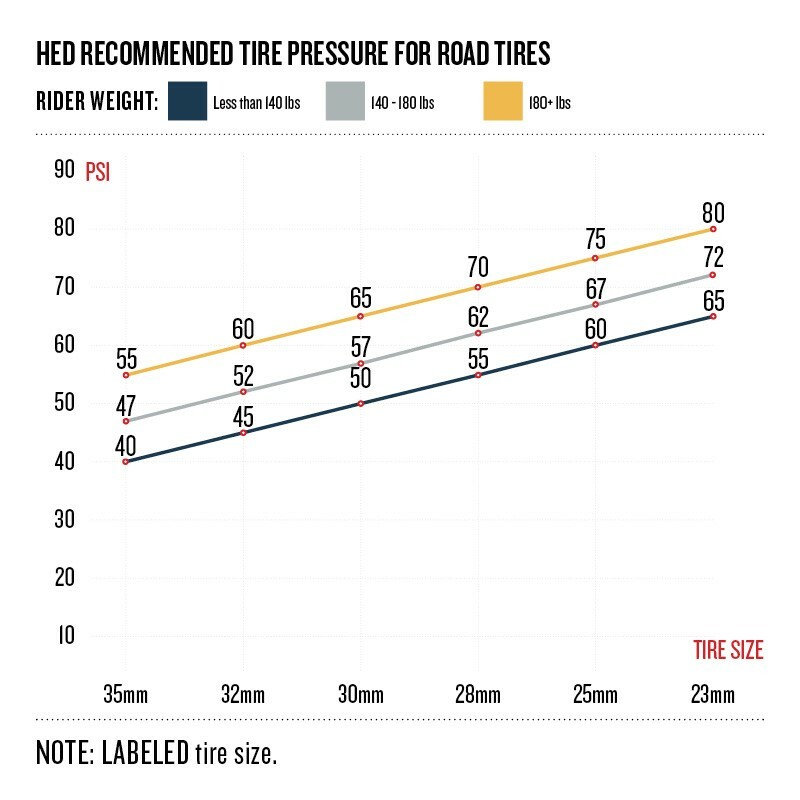 HED is not responsible for rim damage due to tire pressure that is too high or too low. Also note that MAXIMUM pressure and recommended pressure are not the same thing, and inflating your tires to the maximum pressure will typically result in a reduction in ride quality, safety, and overall speed. Our charts are intended as a baseline, but must be adjusted for rider body weight. If the tire pressure is too low, the rim can bottom out on the ground, potentially causing damage and an unsafe riding condition.